Small changes you make today can improve your credit score later. Use as many of these techniques as you want, you’ll be surprised at how easy it can be! From loan to job or rental applications, your credit score plays a key role in your life. If you have a low credit score you may find it hard to obtain loans, or end up paying higher interest rates than someone with good or excellent credit. But here's the good news: There are things you can do right now, and in the next 24 hours—yes, between today and tomorrow!—you can improve your credit score. Learning how to fix your credit score is a task just as important as establishing good credit in the first place. If you can reach the top tier of credit (800+), you'll pay less in interest each month, and put more money in your pocket to work toward other goals, like saving for retirement or finally affording that Hawaii vacation. Even small improvements of 20-30 points, such as going from a 680 to a 710 score, can move you into a higher tier, and therefore, qualify you for better terms. To really impact your financial life in 24 hours, follow the action steps below. All it takes is one misstep—like letting a month go by without paying a credit card bill–for your credit score to take a hit. 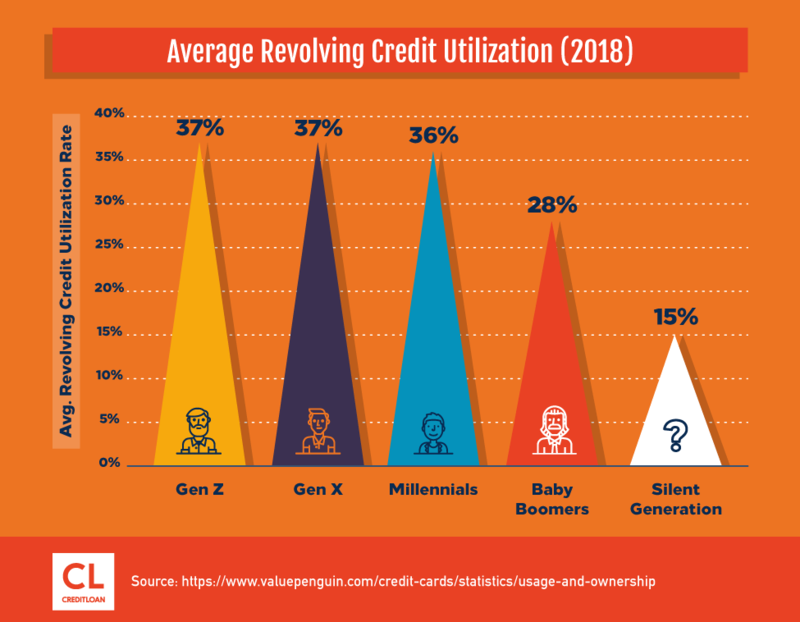 According to FICO data, a 30-day delinquency could cause as much as a 90- to 110-point drop on a 780 FICO Score for a consumer who has never missed a payment on any credit account. The real damage is in the long term. A late payment remains on your credit report for up to seven years, even though the impact on your score diminishes over time. The longer you pay your bills on time after being late, the more your FICO score should increase. But it takes time to make up for lost ground. Here's why: Payment history is the number one factor in credit score calculations, accounting for 35% of your score. Your main goal should be to commit to good payment patterns starting today. Set up reminders. Log onto your accounts and set up notifications so that you receive an email or text message reminding you when due dates are approaching. Automate payments. If remembering to pay the bills is challenging, set up automatic minimum payments. Follow the prompts on the credit card provider's site, and connect payments to a bank account. Consider this a failsafe backup plan to check off the "fix my credit" item on your to-do list. Pay more. Of course, paying just the minimum and accruing interest on your balance will keep you in debt for a longer period of time (which isn't doing your credit score any favors… more on that later though), so log on and make additional or above minimum payments whenever you can. Although some bills might not have an immediate effect on your credit score if you put them off (like medical bills, rent, utilities, parking tickets, and cell phone bills), unpaid bills could be sent to collections. Then the delinquency isreported to the credit bureaus as a negative item, which is particularly damaging to your credit score. Paying your bills on time is always the number one driver of a good credit score. When it comes to how to easily raise your credit score, never missing a payment is the best thing you can do. Scary thought: Imagine if you're doing everything right, but you're getting penalized for someone else's mistake. Unfortunately, it happens more often than you'd think. The good news is, you can nip these mistakes in the bud by keeping tabs on your credit reports and correcting errors. Pull your three free credit reports from Experian, Equifax, and TransUnion. Go to AnnualCreditReport.com, fill out the form, and scrutinize each carefully. If you notice anything, such as a late payment, and you know you paid on time, file a dispute to correct the errors. Head to the bureau website corresponding to the report with the error(s) you found: Experian, Equifax or TransUnion. Follow the instructions on how to file a dispute. It may involve explaining the error, and/or uploading documentation to support your claim. For example, if the report shows you paid a bill late, and you can show proof via a bank statement that the payment was made on time, download or scan in a copy of the bank statement as evidence of the timely payment. After filing disputes, it can take up to 30 days for the bureaus to investigate. After 30 days, recheck your reports to make sure the errors are removed or corrected. This could result in a significant bump in your score. If this seems like a waste of time, trust me—it's not! 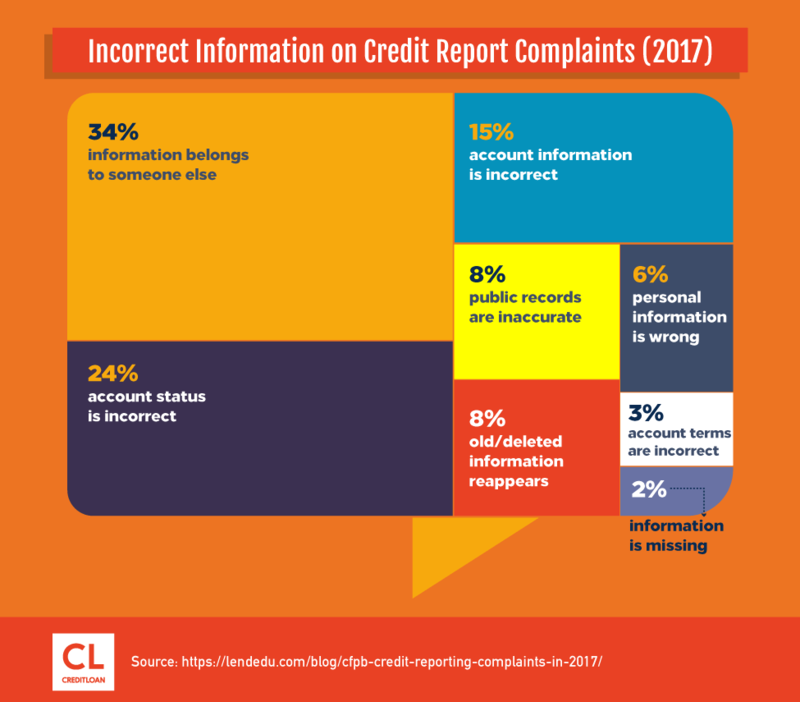 Approximately 20% of consumers who identified and corrected errors on just one of their three major credit reports experienced an increase in their credit score. Odds are you're leaving a large amount of points on the table, so why not make a credit report examination part of your 24-hour-journey-to-better-credit checklist? You might assume that as long as you're paying your bills on time every month, your score should be high. Guess what? That's not enough. Your credit score also depends heavily on how you are using your available credit–in other words, your utilization ratio. Or put another way, how high are your balances? Paying a chunk of debt can help you achieve rapid improvement since utilization ratio is the second most important factor, accounting for 30% of your credit score calculation. Say you have a $4,000 credit limit and your balance is $3,000. That means you are utilizing 75% of that credit line—a super high ratio. That will send a signal to the credit scoring algorithms that you're not managing your debt very well. But, if you can pay that balance down to $1,000, you will have reduced your utilization rate to 25%, and your FICO score will be positively impacted. Look. Examine your account statements and jot down the balance and the credit limit for each. Count. Calculate the utilization rate on each card. The formula is simple: It's just your balance divided by the credit limit. So if you have a $10,000 limit and are carrying a $5,000 balance on one card, that's a 50% utilization (5,000/10,000 = 0.5). If you have a $4,000 credit line and owe $800 on another card, that's a 20% utilization (800/4000 = 0.2). Choose. Opt for the card with the highest rate. In the above example, you would direct your efforts to the card with 50% utilization. Spend. Yes, spend — but specifically, spend some cash to make a large payment. If you have a savings account, bonds to cash in, items you could sell, or another source of cash, use it to pay down balances as much as you can. The closer to being debt-free (or zero utilization), the better for your score. In fact, those with the best credit scores (over 800) utilize only 7% of their available credit. Lowering your utilization percentage is one of the best things you can do to improve your credit score. So if paying down your debt can lower your utilization, increasing your available credit can also boost your credit score. All it takes is a phone call, or a visit to the creditor's website. Let's say you owe $7,500 on a card with a $10,000 limit. If you can get your credit line increased to $15,000, your utilization will go from 75% to 50%—just like that! Call your creditor using the 800 number on the back of your card and follow the prompts to speak to a customer service representative. Present your request factually, by stating how long you have been a loyal customer, point out that your account is in good standing, and ask if a credit line increase is available. Alternatively, visit the creditor's website and search for the "credit line increase request" option. Be realistic. This method is only effective if your account is actually in good standing. If you've missed payments in recent months or are close to maxing out your line, your request may be declined. Exert willpower. Don't spend more just because a higher credit limit is now available. That will defeat the entire purpose of having the higher utilization percentage. But this strategy only works for the most disciplined—people who know they won't charge more just because they now have a higher credit line. Finally, don't try this approach on more than one card at a time. Creditors run your credit to make decisions, and credit line increases are a "hard inquiry," just as if you were applying for a new account. The inquiry will temporarily lower your credit score by a few points, but if the increase is approved, the better utilization rate will wipe out the points loss and then some. Bottom line: An improved utilization rate is another fast-track to a better credit score. If you think you meet the criteria to qualify for a credit increase, it's an easy, pain-free way to improve your credit score. Once you get credit utilization under control, you're ready to move into the next phase–manipulating the credit scoring system. It's not as sinister as it sounds. Essentially, playing around with your bill-paying schedule can earn you a few more precious credit score points. That's because even if you pay your balance on time and in full each month, when your payment is received after the date your balance is reported to the credit bureaus, it could show that your balance and your utilization ratio is high. Call your issuer. Ask when your balance gets reported to the credit bureaus. The date is often the closing date (or the last day of the billing cycle) on your account, which is different from the "due date" on your statement. Get on a schedule. Make sure you're paying the bill before the closing date. This way, your reported balance will be low or zero. FICO will then be using less than your full balance to calculate your score, hence lowering your utilization and boosting your score. Just by changing up the timing, its possible to spend and pay the same amounts, your FICO score will reflect a different behavior—and it will be in your score's favor! If you're the type of person who does a lot of charging and then pays your balance off in full, you might think that you're doing everything right. Remember: The finicky FICO score is based on monthly reporting, and your high balance—even though it's temporary—can hurt you. "Assume you have a credit card with a $1,000 limit. It's a rewards card, so you use it for everything. In fact, every month, you hit your limit. The statement arrives, you owe $1,000, and you send in a check to pay it off. The problem is the credit card company is likely reporting the statement balance each month. So it looks like you have a $1,000 limit and a $1,000 balance. That's a 100% credit utilization rate, and not a good thing as far as your score is concerned." To fix the problem, says LaPonsie, make payments at least twice a month to keep your running balance lower. And, pay off large purchases right away. Set up bi-weekly automated payments. Make a habit of logging on to pay off a purchase as soon as you're home from the mall. Make a partial payment on every pay day. Why wait for a particular calendar day to pay your bills when splitting up your payments can keep your utilization lower? It's just a slight tweak, but it could get you those coveted extra credit points. To maximize this part of your score, use your oldest credit card the most. With plastic, the concept of "use it, or lose it" is very much in play. Therefore, if you toss your old cards into the back of your sock drawer, it's likely that the issuers will close them due to inactivity. When this happens, as far as FICO is concerned, it lowers the average age of your accounts, dinging your score. Among FICO "over-achievers" — of those whose scores are above 785 (show-offs!) — the average credit account is 11 years old. Maintaining the length of your credit history is an easy way to improve your score. It's kind of like connecting with a grade school pal on Facebook—you might not have a lot in common anymore, but you share a history worth revisiting from time to time, and you never know when you might need an old friend. Another component accounting for about 10% of your credit score is "credit mix." If you're someone who only has credit cards and no other debt, this works against you. FICO rewards you for how you manage a variety of credit products, including installment loans. "You may be able to improve your score by taking out a small loan and repaying it as promised—in other words, by adding some positive activity to your credit history. Also, because installment loans add to your mix of credit, if your credit history doesn't already include this type of loan, obtaining one might improve your score." Apply for a loan with just one lender (submitting numerous applications will get reported as (dreaded) hard inquiries. Make sure you understand all terms of the loan (in other words, read the fine print). Borrow only what you need — no more. This method won't work for everyone (for instance, if you have a poor credit, you might not qualify for a loan in the first place), but it could be ideal for those aiming to push past a good score plateau into the excellent range. So there you have it — eight easy ways to improve your credit score in 24 hours — just pick a day and make it happen! Have you used any of these or other techniques to improve your credit?